Advertiser: Royal Mountain Trekking Pvt. 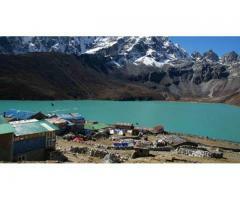 Ltd.
Everest Gokyo Lake Trek begins from an exciting mountain flight from Kathmandu to Lukla. 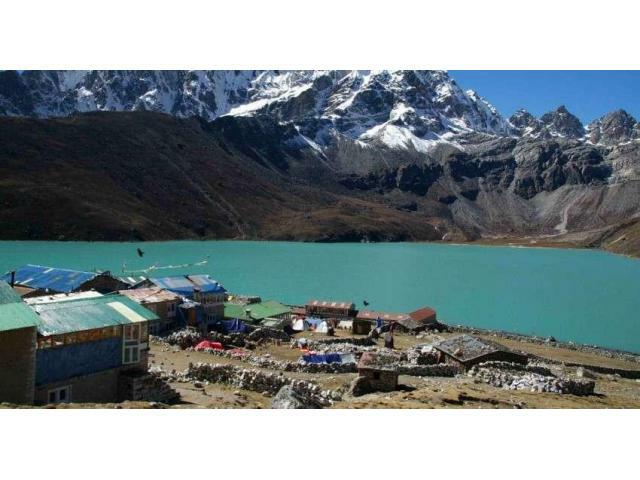 After landing to Lukla airport the trek begins to Gokyo Valley via Sherpa market town of Namche Bazaar. 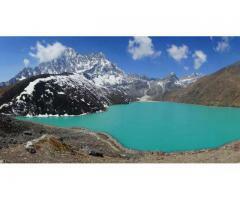 Thamserku and Kang Taiga summits are closely visible from Gokyo Valley. The Gokyo Peak further offers 360-degree stunning panorama of snow peaks, Nepal’s largest glacier, moraine and tranquil glacial lakes. Vendor: Royal Mountain Trekking Pvt. Ltd.